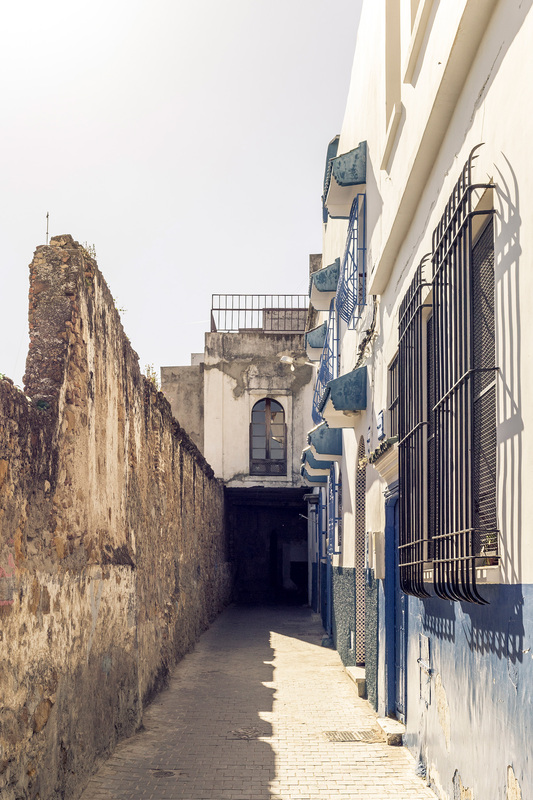 Tangiers offers many options: First of all, discover the town and just let yourself be gently swept away by the place. Secondly, go off on an adventure of the surrounding area which is a completely separate program. Start by letting yourself get lost in the little streets of the medina and the Kasbah. Then, go to the ‘Kasbah museum’, which is part of the American legation. Drink a mint tea at the ‘Petit Socco’ or the Rif Cinema. Just take a stroll. Walk along the promenade, going as far as the skatepark by the sailing club. Or, go in the opposite direction and head towards ‘la Montagne’ area, where you can jog along as the sun sets. There’s also the Marshan area, at the top end of town with its famous café Hafa. Discover the small restaurants. Just stop, sit and soak in the atmosphere. Besides, you’re on holiday, you’re in Tangiers. Should you want to have a historical and architectural visit of the town (which takes about 3 hours), we can put you in contact with our guide, Else. You won’t meet a more knowledgeable and more passionate person. The visit can be in French, English or German (for about 50 Euros). Our guide and friend, Rachid, would accompany you, but if you prefer to be more independent we can put you into contact with a car hire company.